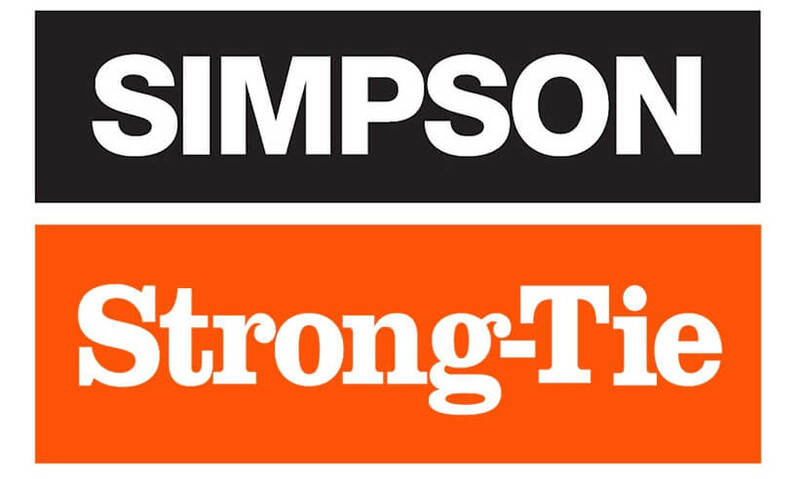 We stock a complete range of restraint straps sourced from Simpson Strong-Tie, one of the world’s leading manufacturers of metalwork, so you know that you're getting well made, strong and reliable wall straps made to industry standards. 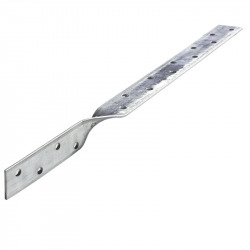 All made from pre-galvanised mild steel, our restraint straps are suitable for connecting roofing and timber floor to masonry walls. 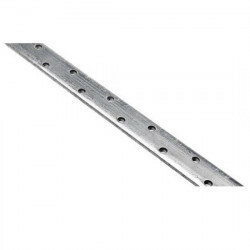 Among our range you will find light duty and heavy duty wall straps, suitable for various applications. 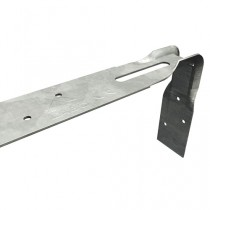 Heavy duty straps are used for horizontal restraint of roof joists, trusses or rafters attached onto masonry walls. It is important to note that while most manufacturers state that heavy duty straps are 5mm thick, they will most likely be between 4mm and 5mm and tending to be more towards 4mm. This is the case for most major manufacturers of heavy duty restraint straps. Light duty straps range between 2 to 2.5mm thick and are usually fixed vertically to masonry walls. You will see on the filter feature to the left of the page that there are options for straight, bent and twisted straps. When choosing a bent strap, it is important to know that the length refers to the total length of the strap (as if it were bent completely straight). The most common fixing for restraint straps are sheradised square twist nails. 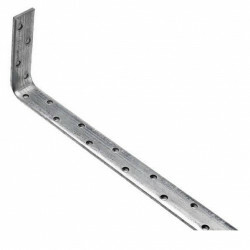 You will find fixing holes all along every type of wall strap to ensure that they are fixed securely. Spend over £60 including VAT to get free standard delivery with Tradefix Direct! There are only 143 of this item in stock. There are only 91 of this item in stock. There are only 258 of this item in stock. There are only 208 of this item in stock. There are only 304 of this item in stock. There are only 123 of this item in stock.